Kodaiji temple is an outstanding temple in Kyoto's Higashiyama District. It is officially called Kodaiji-jushozenji Temple. The temple was established in 1606 in memory of Toyotomi Hideyoshi, one of Japan's greatest historical figures, by Hieyoshi’s wife Kita-no-Mandokoro. Kita-no-Mandokoro was also known as Nene by her nickname. 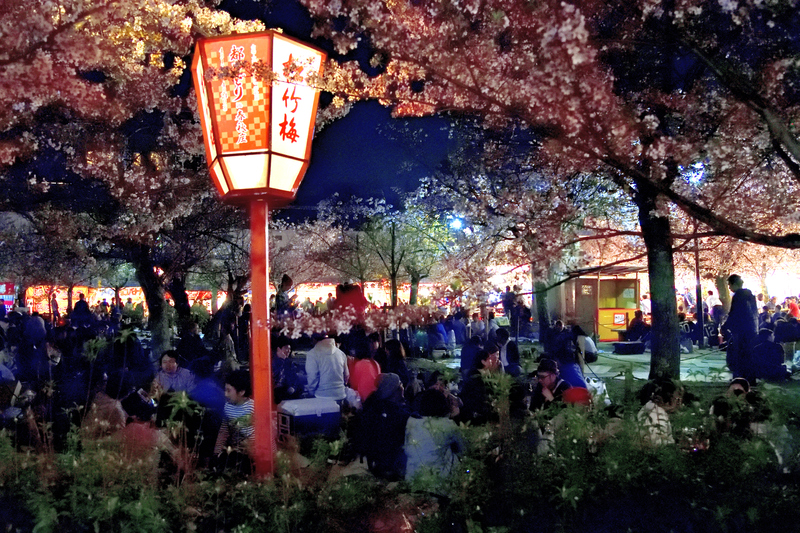 Maruyama Park is Kyoto’s most popular park for cherry blossom viewing. In a vast space of 86,000 m2, there are over 680, various kinds of cherry trees including Somei Yoshino and Yamazakura in the park. Speaking of the famous cherry blossoms in Kyoto, it is the weeping cherry blossoms of Maruyama Park. It is also called as “Gion weeping cherry blossoms (Gion Shidarezakura)”, are very magnificent. This weeping cherry tree, actually the second generation, had been present in this area since the Edo period, but died after about 200 years of age. Then the second generation is planted and it has been nearly 90 years. “Gion weeping cherry blossoms” that look up under the blue sky are good, but they are also famous as night cherry blossoms. 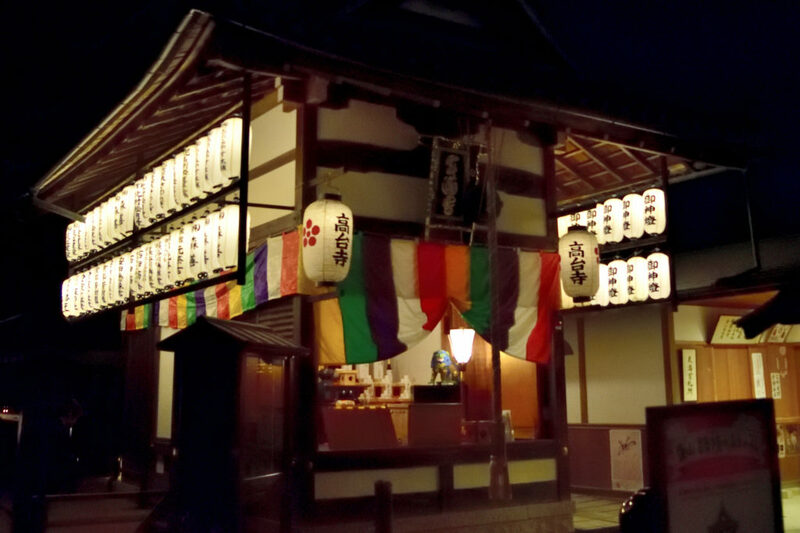 You can feel the bewitching beauty of Gion, as it appears in bonfires. Discount for 3 places (Kodai-ji temple, Kodai-ji sho museum and Entokuin temple) 900 Yen. From Hankyu Kawaramachi Station or Keihan Shijo Station,city bus 207　→ Get off at Higashiyama Yasui and walk east 5 min. From JR Kyoto Station or Kintetsu Kyoto Station,city bus 206(Higashiyama direction) → Get off at Higashiyama Yasui and walk east 5 min. From JR Kyoto Station or Kintetsu Kyoto Station,15 min by taxi. ※ Due to the narrow streets and lack of parking space, please refrain from comming by private automobile.